The conclusion of the most prestigious poker tournament of the year got under way yesterday and, despite planning to pause for the evening with three players left, this year's WSOP final table raced to a conclusion without a break. Indeed, it seems that waiting since the summer to resume their battle for poker's biggest honour caused many of the players to shoot for the fences earlier as the final table quickly went from nine to two. The first player to find the felt after starting the session with a short stack was Mark Newhouse. Knowing he needed some sort of luck to overcome his chip deficit, Newhouse saw his opportunity to double-up when he looked down at pocket nines. After moving all-in he found himself in a classic race situation against Ryan Riess's A-K but after an ace landed on the board he was forced to watch the rest of the finale from the rail. The dismissal of Newhouse seemed to fling the elimination floodgates wide open and within the blink of an eye the likes of David Benefield, Michiel Brummelhuis and Marc McLaughlin had all exited stage left. At this point in proceedings the rail had become increasingly animated as their heroes moved ever closer to the $8 million top prize. At one point a supporter dressed in a panda costume was told to calm down after he rushed the stage in a fit of excitement. With only five players remaining it looked as though the final table's most experienced player, JC Tran, would begin to dominate. However, a poor start was coupled with an inability to find any momentum and after watching Jay Farber seize the chip lead he soon found himself a victim of the young pro. Tran's final hand saw him move all-in with A-7 only to fall foul of Farber and his K-Q which connected well enough with the flop to send his opponent home with a consolation prize worth $2,106,893. In what seemed like record time the final was down to four players but that didn't stop the betting. A sharp exit by Sylvain Loosli left just three players but with time still on the clock the decision was taken to play on until just two remained. That decision certainly favoured Farber as the pendulum of luck continued to swing in his favour, however, in a twist of fate it was Ryan Riess who eventually dispatched with Amir Lehavot. Not wanting Farber to hold too much of a lead going into the heads-up match, Riess was able to find pocket tens just as Lehavot moved all-in with pocket sevens. That pot not only sent Lehavot home in third but brought the penultimate session to a conclusion with Riess just a few million chips away from Farber. Following the demise of Lehavot the final two players were allowed to bag and tag their chips before heading off for a well earned rest. 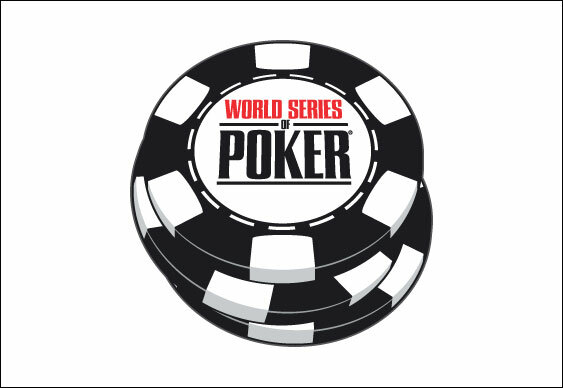 The final session will conclude later today when one of the remaining players will walk away with more than $8 million and the title of this year's WSOP Main Event champion.